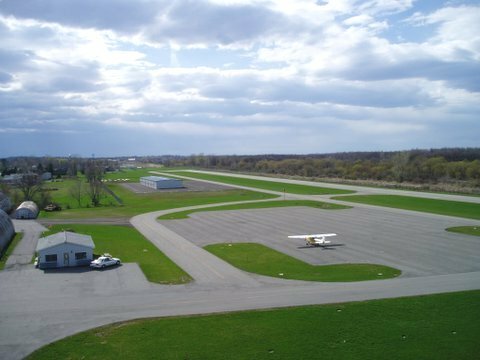 Just southwest of Rochester, NY, Le Roy Airport (5G0) serves as a reliever for Rochester International Airport and a favorite among general aviation pilots. Those seeking a $100 hamburger can enjoy several restaurants within three miles of the airport, including a golf course and the Jell-O Museum. Le Roy Airport has received all 5 star ratings on AirNav thanks to cleanliness, friendliness and the convenience of self-serve fuel offered around the clock. The reviews also rave about the helpful airport manager, Ray, who loves aviation and always looking to help the local and transient pilot. Aviation Insurance Resources (AIR) has been providing Le Roy Airport quality airport general liability insurance for over nine years. Aviation Insurance Resources looks forward to establishing similar relationships with other airports around the country and helping them place their airport general liability insurance. You can rest assured that we are committed to serving your airport with integrity and your satisfaction is our top priority. AIR works with ALL the major aviation insurance markets. We provide you insurance at the lowest cost and broadest coverage available. Aviation Insurance Resources (AIR) is a leading underwriter of all types of aviation insurance. We not only specialize in aircraft insurance, but also aviation insurance products, including Airport General Liability Insurance. Headquartered in Frederick, Maryland, AIR is licensed in all 50 states to better serve you and your aviation insurance needs. To find out more about Airport General Liability Insurance, please contact AAIR by calling 877-247-7767 or visit AIR-PROS.com today and receive a free quote! You can also follow us on Facebook, Twitter, LinkedIn, Pinterest, and Google+.